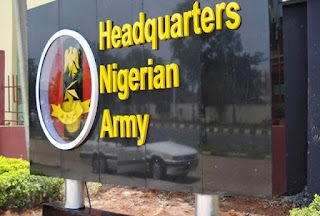 The Nigerian army has distanced itself from a list making the rounds on the internet purported to contain names of top military officers who’ve been sacked. According to a statement by Col. Sani Usman, the Acting Director Army Public Relations (Ag DAPR) “only” 19 Generals and 19 other senior officers were compulsorily retired by the Army Council. He said the list should be disregarded by the public as “it is unethical and unfair”. “This is worrisome as some individuals and media houses went to the ridiculous extent of publishing outrageous figures and names of serving officers as being retired” he added.